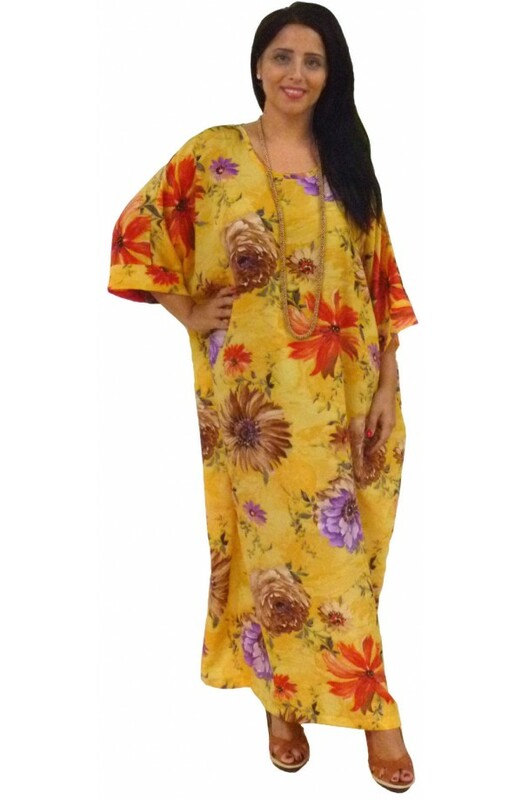 This is a range of long kaftans made up in polyester of a really excellent and silky-soft quality. It comes in six background colours that bear a large floral design. The background has a two tone watermark design. It truly is beautiful, looks very sunny and cheerful. 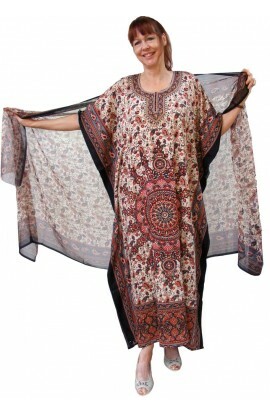 This kaftan is lovely to wear at home or to go on holiday. It is just the thing to cheer you up for the day. It is available in a choice of lengths, and comes in a one Free-size that will fit most. However, if you require an extra small or extra large version, please get in touch by sending your message directly to my email: bonnie.789turner@btinternet.com or telephone me direct on 01476 550000. I will always be pleased to assist.